The identity of the killer of five (or possibly six) women in the East End of London in 1888 has remained a mystery, but the case has continued to horrify and fascinate us for this very reason! Between August and November 1888, the Whitechapel area of London was the scene of five brutal murders. 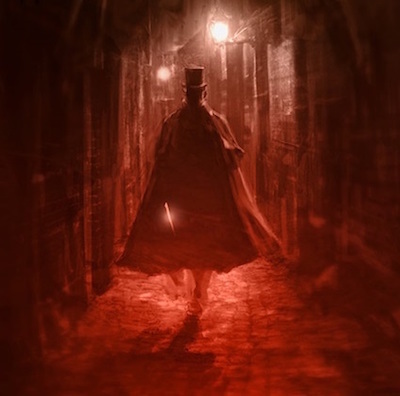 The killer was dubbed ‘Jack the Ripper’ due to a letter he supposedly sent to the newspapers. All the women murdered were prostitutes, and all except for one – Elizabeth Stride – were horribly mutilated. The first murder, of Mary Ann Nicholls, took place on 31 August. Annie Chapman was killed on 8 September. Elizabeth Stride and Catherine Eddoweson were murdered 30 September and Mary Jane Kelly on 9 November. These are often referred to as the ‘canonical five’ Ripper murders, although Martha Tabram, stabbed to death on 6 August 1888, is considered by some to be the first victim. There has been much speculation as to the identity of the killer. It has been suggested that he or she was a doctor or butcher, based on the evidence of weapons and the mutilations that occurred, which showed knowledge of human anatomy. Violence to prostitutes was not uncommon and there were many instances of women being brutalised, but the nature of these murders strongly suggests a single perpetrator, as they had a similar MO to one another. A troubled barrister turned teacher who committed suicide a month after the last murder. He was the son of a doctor who disappeared around the time of the final Ripper murder and whose body was discovered floating in the River Thames the following month. Polish Klosowski, born 1865, arrived in London in 1887 or 1888, took the name George Chapman, and worked as a barber in Whitechapel at the time of the murders. In 1903, he was hanged for poisoning three of his wives. Inspector George Abberline of Scotland Yard thought Klosowski was the most likely suspect, despite being a poisoner rather than a knife-murderer. Aaron Kosminiski was locked in an asylum shortly after the murders stopped and died in 1919. It is by Russell Edwards who claims that he privately funded a research project, which identified DNA linked to Aaron Kosiminski on a shawl associated to victim Catherine Eddowes. However, this molecular identification is seriously questioned by DNA experts. The Duke of Clarence, one of Queen Victoria’s grandchildren, reputedly suffered from syphilis, which, apparently, drove him to insane murders. He was subsequently imprisoned with the knowledge of the Royal Family and died in an asylum in 1892. However, chronological issues with evidence make this story flimsy at best. A fish porter at Billingsgate Market, Joseph Barnett knew Mary Jane Kelly. In 1977 author, Mark Andrews suggested in The Return of Jack the Ripper that Barnett had fallen madly in love with Mary Jane, but was furious she was working as a prostitute. The initial murders were carried out by him in an attempt to frighten Mary Jane off the streets. When that tactic failed, they quarrelled and Barnett later murdered her. His physical appearance closely matches the description given by witnesses as well as a psychological profile completed by the FBI. Authors Christer Holmgren and Edward Stow published a theory in 2012 that a key witness in the Ripper murders was actually the murderer. The guilty man, their book said, was Charles Cross, a Cartman who claimed to have found the first victim, Polly Nichols. But Holmgren and Stow believe he could have been the killer, disturbed as he was mutilating the victim’s body, and all the later murders took place between Cross’ home and his yard, at times when he would have been walking to work. Although females usually use more ‘clean’ methods to kill, less aggressive and violent kills, there is a chance the ripper could be female! At the time, it would have been highly unlikely the police would even look at a female suspect, as they would not have even though a female could be quite so violent. One of the witnesses interviewed following Kelly’s murder was adamant that she had seen the murder victim alive and seriously hung over hours before her body was discovered. Mrs. Caroline Maxwell insisted that she had seen her outside the Britannia public house wearing “a dark shirt, velvet bodice, and maroon-coloured shawl”, the last of which she’d seen Kelly wearing many times, Plus, the theory gelled with Maxwell’s puzzling story about having seen Kelly after she was supposed to have been killed already. A midwife could simply have donned her victim’s clothes and strolled out of Miller’s Court to face down the day. The idea was that a midwife would be the only type of woman capable of killing in such a gory way. Rumours that Mary Kelly was pregnant at the time of her death also makes this seem more likely as a midwife’s easy access to other women’s homes. No one would look twice at a midwife with blood on her clothing, and she could slip away from her crime scenes unnoticed the way the Ripper was notorious for doing. One main problem with this is that the Autopsy reports also show no indication that any of the canonical five Ripper victims were pregnant, making the “midwife” idea a little less likely. These are just a few of my own personal top suspects; the chances are it is none of these men! Have you read any stories for anyone else you think could be right? What about crazy stories that seem ridiculous? For example, one theory is that Winston Churchill’s father was Jack the Ripper! 2 Comments on Jack the Ripper Suspects!